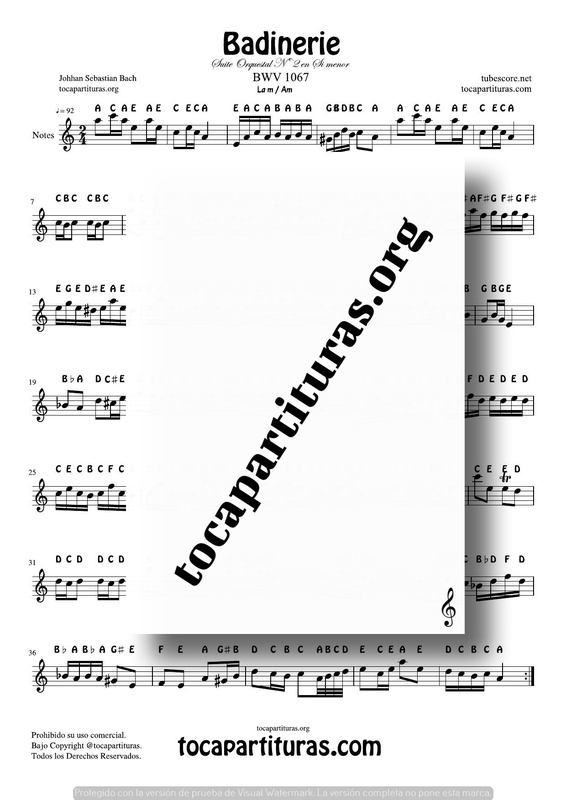 PDF and MIDI Notes Sheet Music for Treble Clef (Clave de Sol) Badinerie in A minor (La menor) by the master J. Sebastian Bach. Orquestal Suites BWV 1066-1069 (ouvertures). Composed between1725 and 1739 in Leipzig.